Michelin North America Inc. has launched Michelin Energy Guard, an aerodynamic trailer kit for use on 53-foot dry-van or refrigerated trailers. The kit includes a trailer skirt designed to bend if it strikes an obstacle or debris. Trailer-end fairings direct airflow around the back of the trailer. The wake reducer minimizes the effect of the recirculation zone behind the trailer. The trailer-end fairings and wake reducer are constantly functioning, requiring no moving parts or driver actions. The aerodynamic mud flaps reduce vehicle drag and road spray, according to Greenville, S.C.-based Michelin. 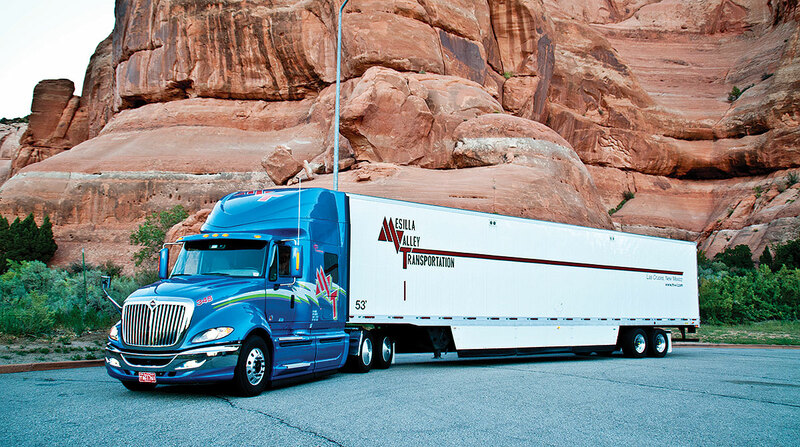 With the biggest drag on fuel efficiency occurring at 65 mph, fleets and owner-operators look for aerodynamic solutions that cut fuel costs but do not increase maintenance costs nor require driver attention and costly repairs. Truckload carrier Mesilla Valley Transportation Solutions tested Michelin’s kit against popular trailer tails and skirts. The integrated kit’s “fuel savings are impressive at 10 gallons per thousand miles. Even more impressive is the solution achieving this with no driver interaction and no moving parts,” Daryl Bear, COO and lead engineer at MVT Solutions (a subsidiary of MVT), said in a release.